Washboard Hank started playing on the street and toured North America in the 70s, he and Reverend Ken formed the legendary party band Reverend Ken and the Lost Followers who played a residency at the Canada Pavilion at Expo 86. Next Hank formed his own band Hank and the Honkers and played honkytonks all over Ontario for 10 years until he was hired by Fred Eaglesmith to play all over Canada and the United States, since striking out on his own Hank has played every province and territory in Canada as well as Greenland Mexico and the USA. 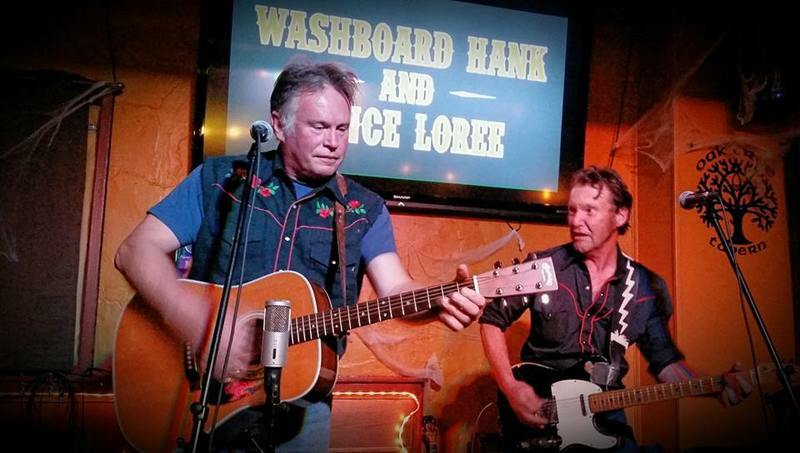 Lance Loree has played inspired electric guitar for many years all over Alberta. He is outstanding and when he is not playing music he is literally out standing in his field tending to his pigs and vegetables and cows and barley and tractors ….